The first time happened when I had to play for my friend for less than 10 minutes. I have to save my remaining $$ here, otherwise my well-planned stewed pork meal for next week is gonna turn into instant noodles carnival. Before you drain it, remember to save some pasta water just in case if you need more liquid for the sauce later. Cook till the color turns translucent then we add the salmon pieces. This dish can turn out to be a total milky disaster if undersalted. Transfer onto a plate, have some Parmesan cheese on top. Great shots! 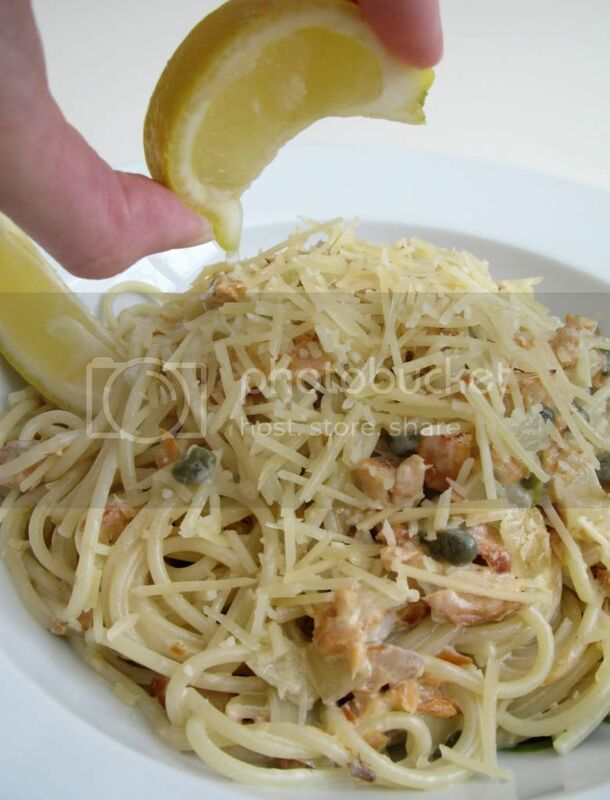 Love the photo with you squeezing the lemon wedge. 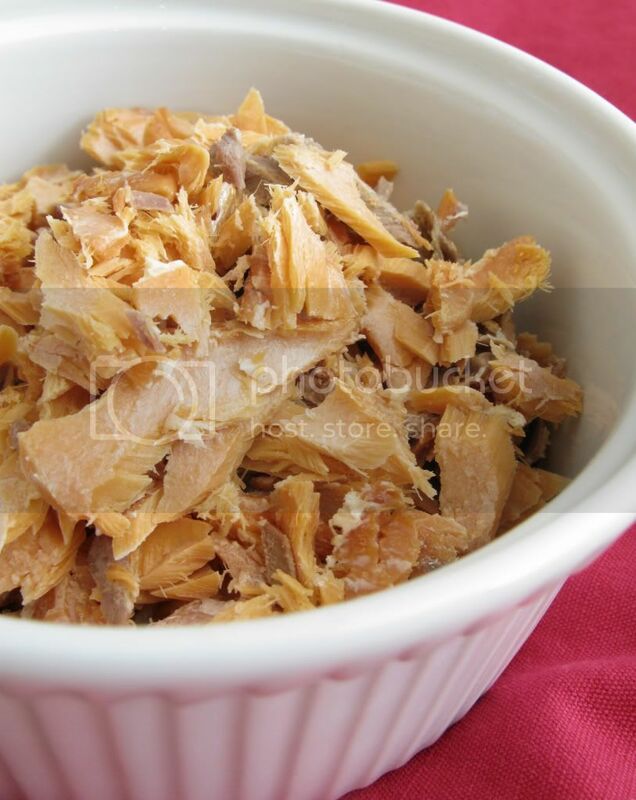 The flaked smoked salmon looks delicious. Haven't had cooked smoked salmon since my visit to Seattle! Makes me hungry :). Seattle? Wow you really do travel a lot! So nice! I see lots of cheese. Have not ventured into capers though. Haha once in a while I'm craving for cheeesseeeee! This is amazing! I love the whole flavor combination - definitely something my husband will love. This is my first visit to your site and I look forward to checking out your archives! Thank you so much! Let me know how it goes if you ever try out the recipe!